North American Formula 1000 Championship joins Formula Race Promotions and Hoosier Racing Tire in SCCA Pro Racing for the 2019 Championship Season. Formula 1000 has a new home in professional racing in the FRP championship, racing at iconic tracks including Road Atlanta, Watkins Glen, VIR, and more. 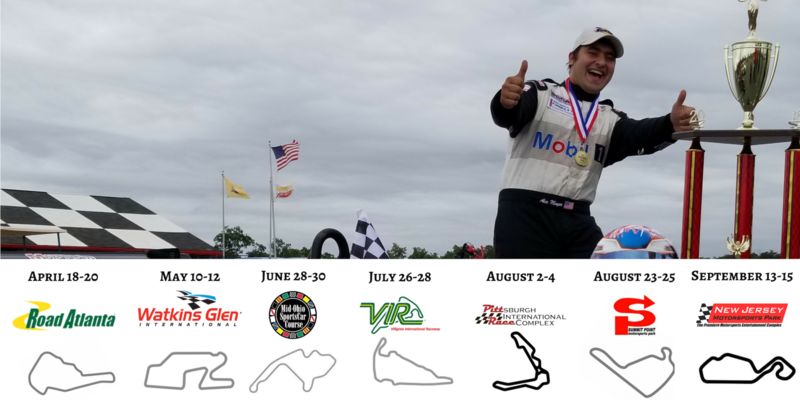 Joining the move by FRP to SCCA Pro Racing sanctioning for the 2019 season ensures continued growth for the NorthAm F1000 Championship. Bringing an additional racing class into the Atlantic … Continue reading North American Formula 1000 Championship joins Formula Race Promotions and Hoosier Racing Tire in SCCA Pro Racing for the 2019 Championship Season. Gerardo Earns First win of 2018! Plus Costin and Hamilton Earn First Podiums!